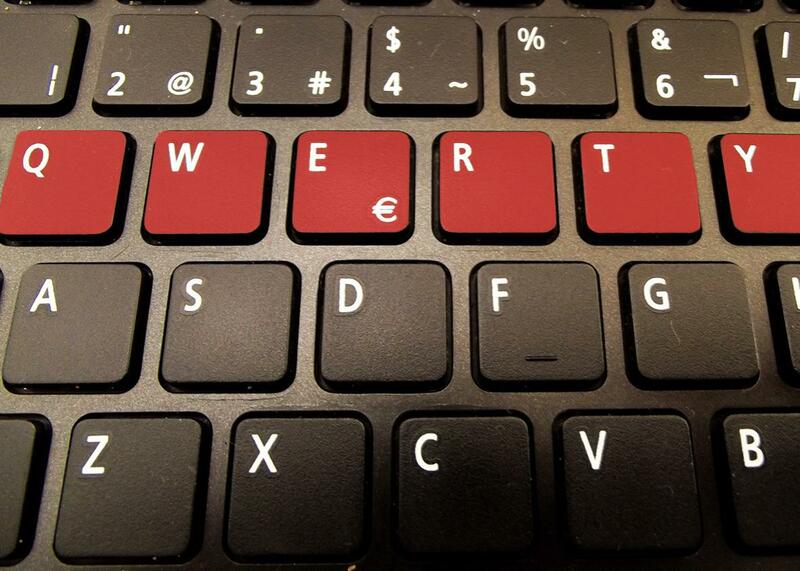 The worst passwords on the Internet aren't as worrisome as you think. Photo illustration by Derreck Johnson. Photo by gregsawyer/iStock. Much of the list remains pretty constant from year to year, but if you look closely it’s possible to pick out some apparent trends. In 2014, for instance, we rejoiced that password was no longer the most popular password, although what replaced it—123456—was hardly better. These passwords are bad, but at least they’re getting less common. We’ve had some fun in the past speculating as to the thought process that went into some of these password choices. It’s hard to draw firm conclusions based on this sort of data, but this year’s list would seem to indicate that at least some people have gotten the idea that, when it comes to passwords, longer equals stronger. That isn’t necessarily the case. While passwords with more characters might be harder to crack through brute force, any password that you share in common with lots of other people is going to be vulnerable. Before you weep for humanity, though, there’s a piece of good news that’s often overlooked when these lists come out. 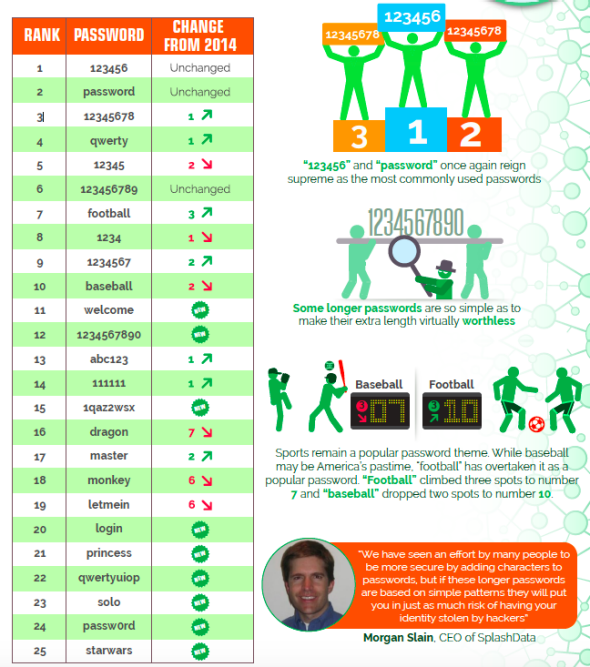 It’s that the most popular passwords aren’t as widely used as they used to be. Mark Burnett, a security consultant who worked with SplashData to compile the rankings, explained in Ars Technica last year that the two most popular passwords, password and 123456, accounted for less than 1 percent of all the passwords on his list, a steep drop-off from its prevalence just a few years earlier. As recently as 2011, that number had been 8 percent. His full post is well worth reading if you’re interested in how to interpret the bad-password rankings—or if you just want to be reassured that not everyone on the Internet thinks qwerty and monkey are clever ways to safeguard their accounts.